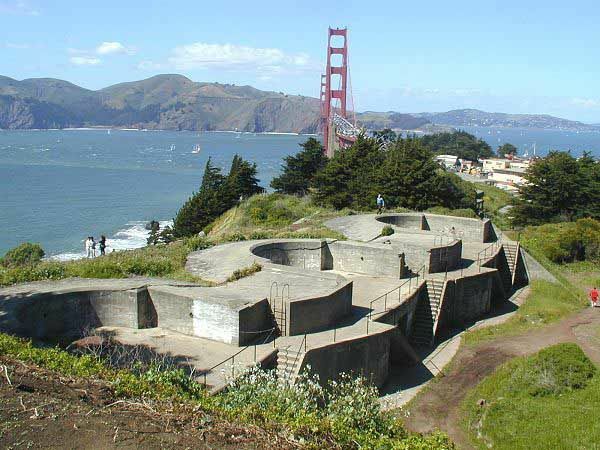 The old batteries just southwest of the Golden Gate Bridge offer few real hiding places, but hide and seekers can disappear beneath steps, under an overhang or above or below another level. While other tourists milled about, I listened for familiar voices and scouted the uneven corners and crevices where tufts of grass and weeds added color to the gray blocks of concrete. I found my family beneath an alcove and squeezed in, my heart pounding, holding my breath, just moments before our hiding place was found by the one whom would soon be it. We laughed at how we must look to the tourists enjoying the view, and we walked down the trail where wild irises bloomed. The girls climbed a tree while the boys ran ahead. We watched the waves crashing several feet below; the bridge almost close enough to touch. Battery Boutelle is one of several old batteries in San Francisco. Built between 1898 and 1900, its three guns were mounted in 1901 and removed in 1917. Now Battery Boutelle is open for exploring, enjoying the view or playing hide and seek. 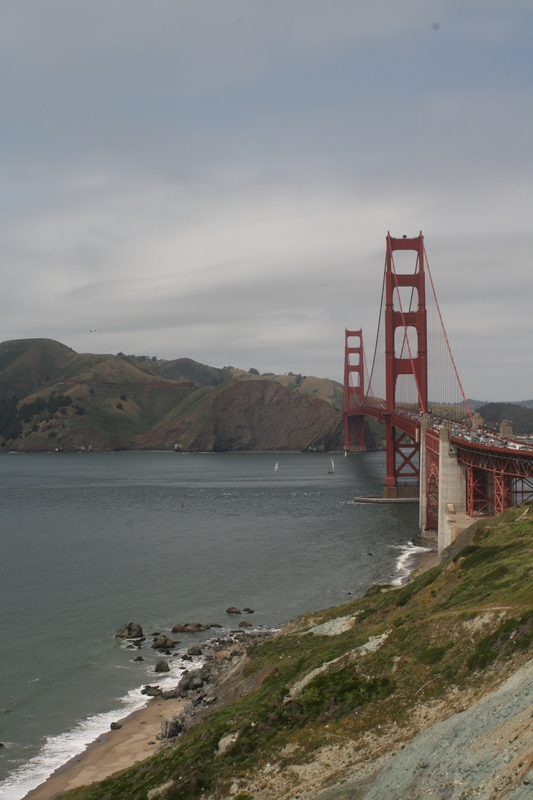 To access the battery from the North, take the first right immediately after crossing the Golden Gate Bridge and the second right into the dirt parking lot. 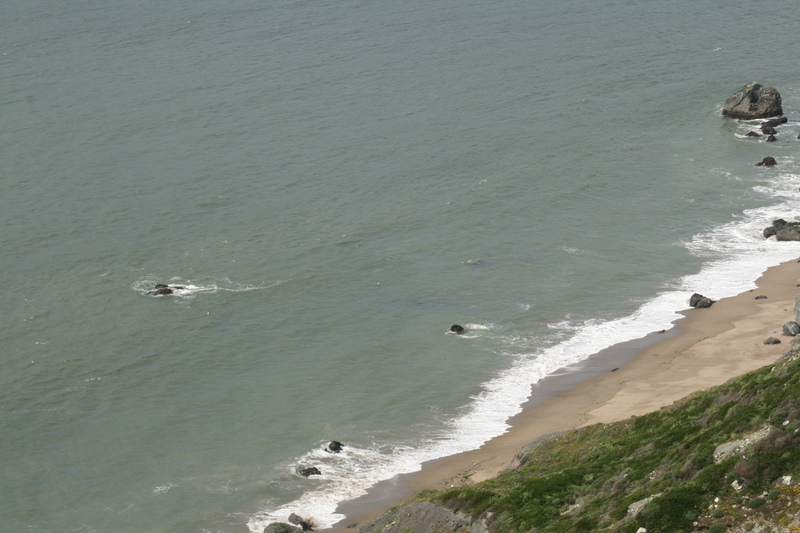 For information on the trails that pass by Battery Boutelle, check out the book, “The Best Easy Day Hikes San Francisco” by Tracy Salcedo-Chourre.